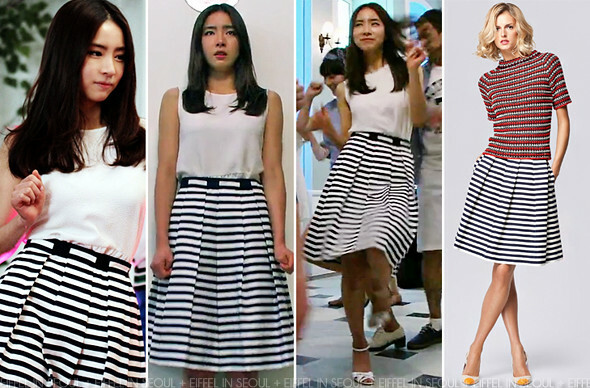 In episode 3 of 'When A Man Loves (남자가 사랑할 때)', Shin Se Kyung (신세경) was dressed in a striped flare skirt from CH by Carolina Herrera Spring/Summer 2013 collection. A white blouse and a pair of white sandals to complete her beautiful look. Her outfit was perfect for the vacation getaway scene in the episode. What do you think?